Victoria Beer Week (VBW) is less than a month away and the beer buzz is swelling. The fourth instalment of the annual beer festival will be hosted at various venues across Victoria from March 3rd to 11th and marks the beginning of the 2017 beer festival season. The 2017 edition of VBW features 50 craft breweries from across British Columbia, showcased by 16 events to engage and educate craft beer newbies and seasoned imbibers alike. 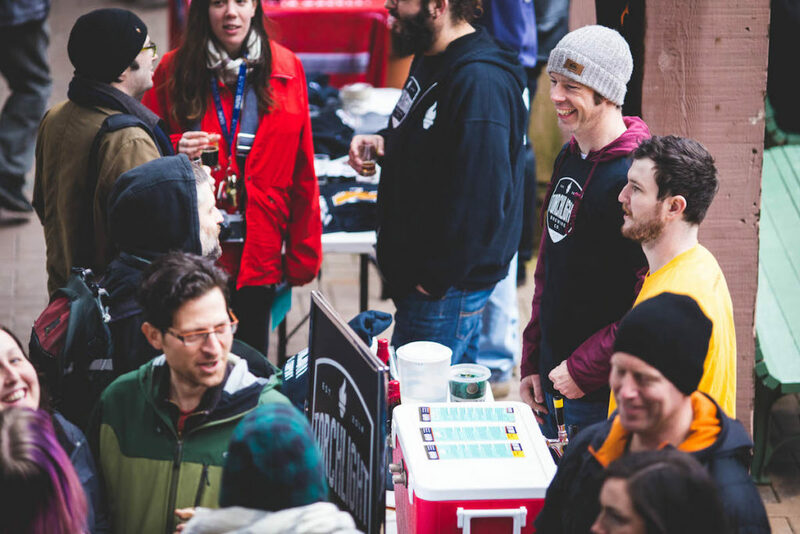 Heavily intertwined with local vendors, including food artisans that will provide the sustenance to keep attendees going throughout nine beer-filled days, Victoria Beer Week has ripple effects throughout BC’s capital city. Beer lovers enjoy Drink in the Story at the Drake Eatery during VBW2016. The craft beer industry is quickly becoming an economic darling in BC, growing exponentially in recent years. Victoria is considered one of the birthplaces of the province’s (and country’s) craft beer revolution, home to 14 microbreweries and brewpubs including Spinnakers, Canada’s first modern brewpub that dates back to 1984. So it makes sense that the capital city hosts an event dedicated to its craft beer roots while simultaneously highlighting an industry that is expanding across the province and country. More than 2,500 people attended last year’s festival. Organizers expect close to 3,000 attendees for VBW’s 2017 edition. Victoria Beer Week not only highlights this rapidly growing industry, but it also gives local vendors and artisans a chance to reach a wider audience as both residents and tourists flock to the city for the festival. Events take place in some of Victoria’s most unique local venues, blending beer and food culture in the city’s own particular way. 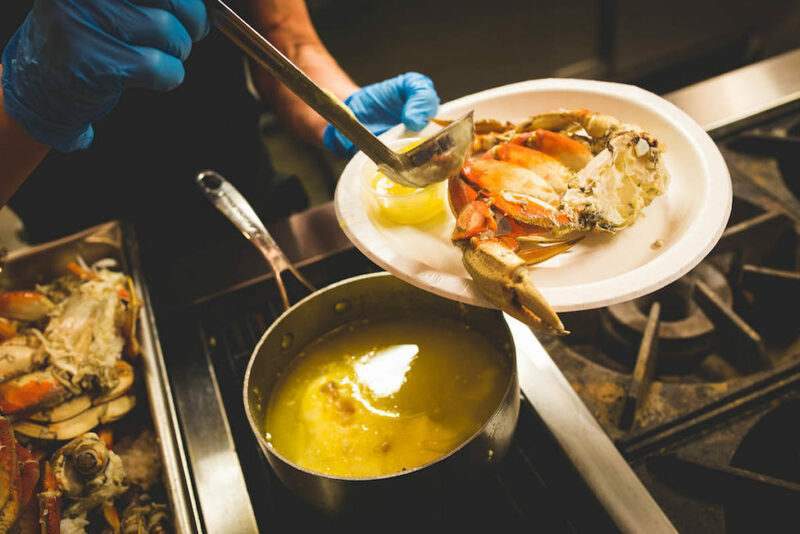 The crab boil was a hot ticket at last year’s inaugural Fishing for Beer event. Two cask nights, a beer and cheese night, a seafood night, and a sour beer showcase will be hosted at the Victoria Public Market. Located in the beautifully renovated Hudson Building, The Market is home to several local food producers, including bakers, butchers, and even a pie maker. 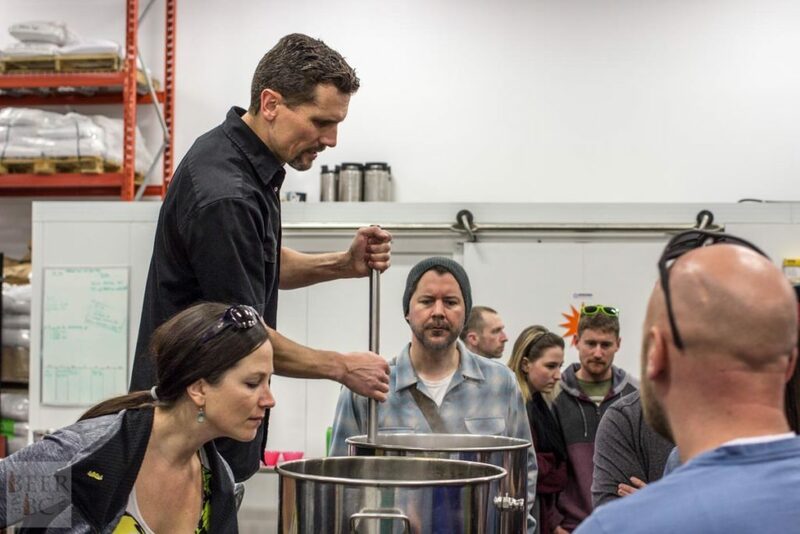 For those wanting to get serious about beer, a homebrewers workshop will be hosted by homebrewer-turned-brewmaster Michael Kuzyk, founder of Category 12 Brewing. Swans Brewpub hosts Beer School with two classes teaching attendees about brewing and the history that it’s emerged from here in BC. And a new event, called All About the Wood, will focus on barrel-aged beers, highlighting the difference that barrels can make in a brew. Brewmaster Michael Kuzyk stirs the mash during last year’s Homebrewers Workshop at Category 12 Brewing. BC’s craft beer legends are set to host multiple special sampling events as well, sharing their knowledge of the local craft beer history and industry. The BC Craft Brewers Guild will host a brewmasters brunch, with each table having access to their very own BC brewmaster, and the Drink in the Story event offers attendees another opportunity to get to know some of the province’s most celebrated brewers. Harbour Air Seaplances will host this year’s Drink in the Story event at the Victoria Harbour Airport. Besides beer, VBW partners with numerous local food vendors in unique venues to display Victoria’s fantastic foodie scene. The Fort Common, a newly opened hidden gem in the city, is hosting a brand new taco event called Taco Tuesday, pairing glorious tacos with some of BC’s great craft beers. And for pizza lovers, Pizzeria Prima Strada, another local favourite establishment, will host a custom pizza party to end all pizza parties – craft beer pairings included. Pizzeria Prima Strada hosts the inimitable Beer, Pizza, More Beer event as part of Victoria Beer Week. Northern Quarter will be home to the Ultimate Craft Beer Quiz night where craft beer enthusiasts can go head to head with VBW’s own Thirsty Writer and BC craft beer expert, Joe Wiebe. Other local venues like The Drake Eatery and Garrick’s Head Pub will be joining in on the fun as well, celebrating Victoria Beer Week with specials and events of their own. Victoria Beer Week will wrap up on Saturday, March 11th with a Lift Off! launching party that features the simultaneous release of 12 brand new, never-before-tasted beers. A scene from last year’s Lift Off! event at Market Square. Arguably the best thing about Victoria Beer Week is that it opens up the world of craft beer to everyone, regardless of where they fall on the beer geek spectrum. 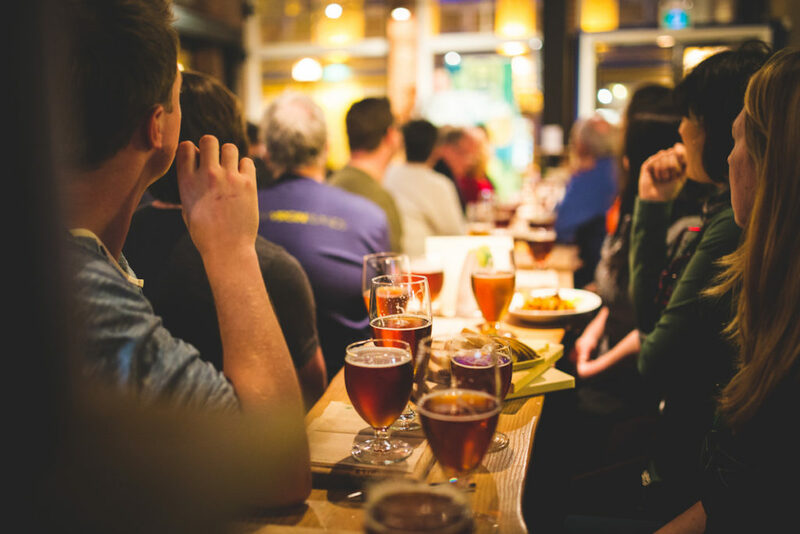 Events vary from a fun evening of great beer and food to specialized afternoons of crash-course beer knowledge. Approachable and affordable, Victoria Beer Week is a wonderful festival for the experienced beer lover, as well as the novice. Ranging in price from as little as $10 to $60, events generally include beer tastings and food. There are also ticket packages available for craft beer aficionados that just can’t get enough. Tickets can be bought through local ticketing partner, Ticket Rocket and more information about the festival can be found at Victoria Beer Week. VBW kicks off a busy craft beer festival season, with many more events lined up in 2017. The next big beer fest will be the Okanagan Fest of Ale, hosted in Penticton in April. More information about upcoming events can be found via the BC Ale Trail events page.